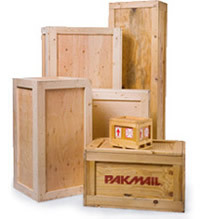 Pak Mail Chapel Hill has a new website to better serve our customers. Now you can track a shipment, request an estimate, or just browse all of our great packing and shipping services. In addition to packing and shipping we also offer a variety of business services like; mailbox rental, copy and fax services, document shredding, notary, and more. Contact us for more information. This entry was posted on Tuesday, April 8th, 2014 at 12:40 pm and is filed under Business, Packing, Promotional, Shipping. You can follow any responses to this entry through the RSS 2.0 feed.